Apple is gearing up to release the new iPhone 6S Plus this month. It’ll be available in 16GB, 64GB, and 128GB model variants, and in grey, silver, gold or rose gold. 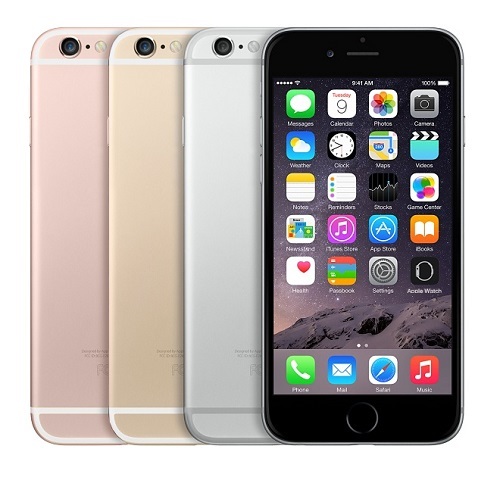 The iPhone 6S Plus is the second phablet device release by Apple. It will have a 5.5″ IPS LCD touch screen with 3D Touch and olephobic coating. IT supports Touch ID and Apple Pay for Visa, MasterCard and AMEX. It will also have a 12MP camera with a 2160p video recorder, slow-mo lens, and much more. With the 5MP FaceTime camera, you can FaceTime via wi-fi or data, or take a panorama selfie! Apple has included the highest performing processors; custom-designed A9 chip, increasing CPU and GPU performance by 70-90%. It is expected to provide up to 24 hours of talk time, or 384 hours on standby. Unlocking your Apple iPhone 6S Plus is quick, easy and 100% guaranteed by Cellunlocker.net. Why Unlock your Apple iPhone 6S with Cellunlocker.net? Unlock Your Apple iPhone 6S Today!